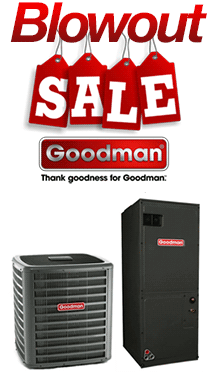 We offer the full line of Goodman electric furnace models. These forced air electric furnaces are easily installed with ductwork. The Goodman brand is one of the few true electric furnaces offered anywhere in that you are not paying for a built-in evaporator coil for air conditioning. This is a true heating only electric furnace. We believe you'll find our forced air home electric furnace prices to be the lowest anywhere.